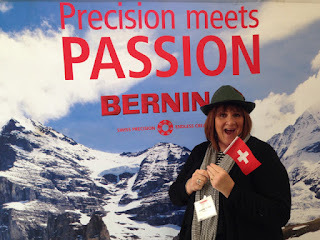 It's my turn today, as I join my fellow BERNINA Ambassador friends in a little blog tour, all about us. 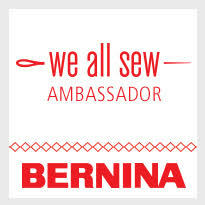 Just "what" is a BERNINA Ambassador? We are a diverse group of makers, quilters, sewers, and creatives sharing our love for the brand with our unique ideas in the sewing communities. Each and every Ambassador is gifted with extraordinary talent and exceptional skills and sharing their craft. It's an incredible honor to have been chosen to be in the company of these masters. Although I've been an artist all my life and sewing since I was 11 years old, BERNINA was an epiphany for me. I consider myself, "not a scattered doing everything kind of gal", but rather a Renaissance woman, with interests in so many artful things. 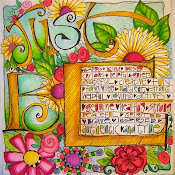 I paint, draw, hand letter, sew, hand stitch and teach. The only thing I can't do, I wish i could dance, maybe someday! I never make an excuse for my multiple interests, but rather embrace ALL THINGS CREATIVE with an energy and passion for as many of life's gifts that I can gather in a day, a week, a month or years. 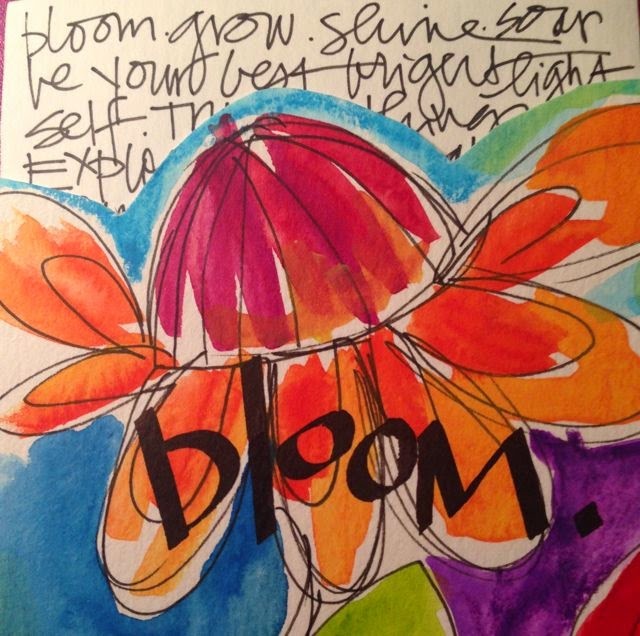 My mantra in my artfully inspired life is "every moment matters". "MY FAVORITE FABULOUS BERNINA BITS"
MY FIRST BERNINA: My first BERNINA machine is a B350 that I purchased while teaching at an art retreat in California in 2011. I live in upstate NY. I wasn't leaving without my new treasure, my machine, so I took all my clothes from my suitcase and packed them in the BERNINA box and shipped them home. My new BERNINA "baby" went with me on the plane instead, fitting perfectly inside my extended carry-on. But the bad was just a tad too wide for the over head, so the flight attendant graciously placed it in the captain's closet for the trip home. My machine was already a spoiled child, nice ride! 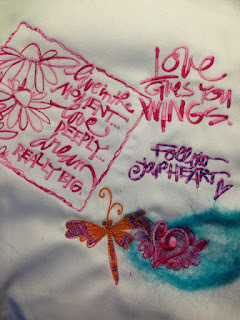 LETTERING ON FABRIC: My lettering art has gone into a new dimension in fabrics and fiber. 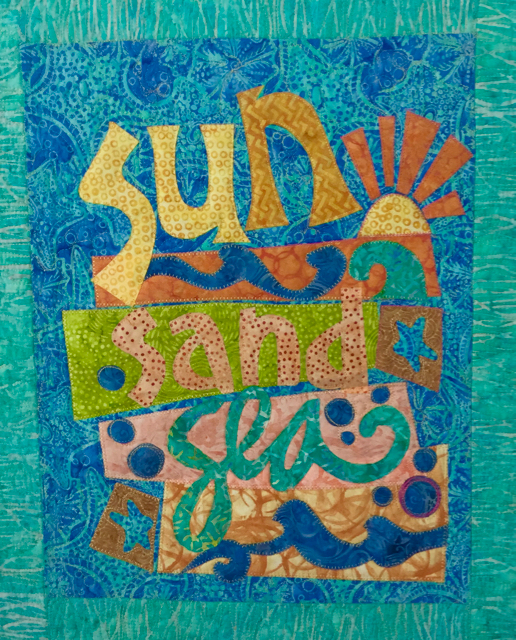 Did you know I have an AQS iquilt online workshop called "WHIMSICAL LETTERS IN FABRIC. 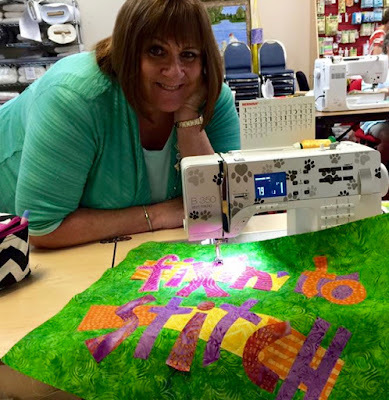 You can learn how to make a whimsical word quilt here. 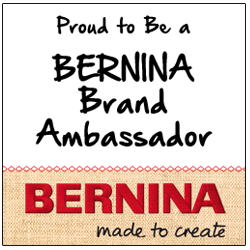 Thank you BERNINA! 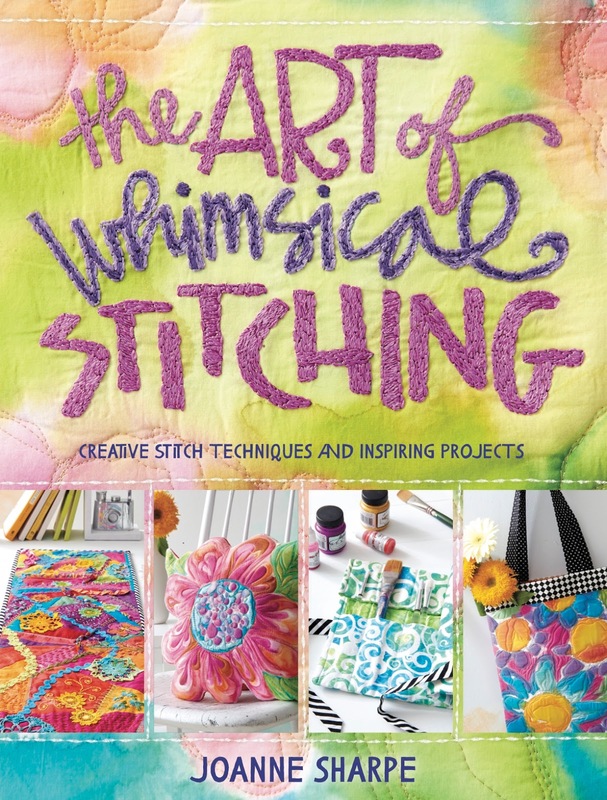 I WAS STITCHING TO WRITE MY STORY: The inspiration for my textile book "The Art of Whimsical Stitching" (2016) came directly from the new creative energy that came from making art on my new BERNINA. I'm so proud of this playful sewing book. TEACHING WITH BERNINA MAKES ME "SEW HAPPY": We had SEW MUCH fun in New Orleans with this group of BERNINA dealers who made these incredible fabulous, colorful free motion mini art quilts. It's so rewarding to share my art with threads and letters and fabric teaching with adventurous makers all over the country. MY SUZIE Q20: I am so blessed to have a BERNINA Q20 long arm machine in my sewing room. 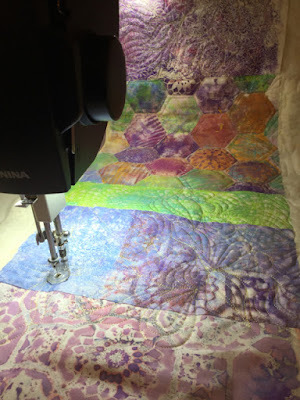 This machine is a beast and allows me to quilt large art quilt pieces with ease. 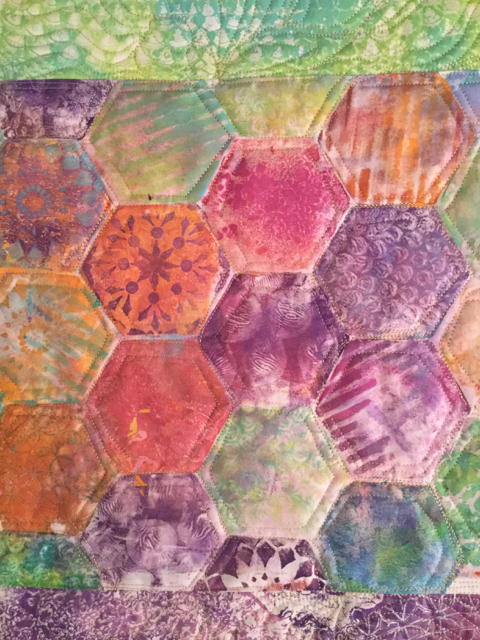 Here's a table runner made with GelPress prints and fabric paint, embellished with free motion stitching. YOU CAN STITCH YOUR ART OUT WITH ME: Check out my online art sewing class "PAINT, STITCH, PLAY!" You don't need a BERNINA but you can watch what I create on mine to make some pretty fun textile art. 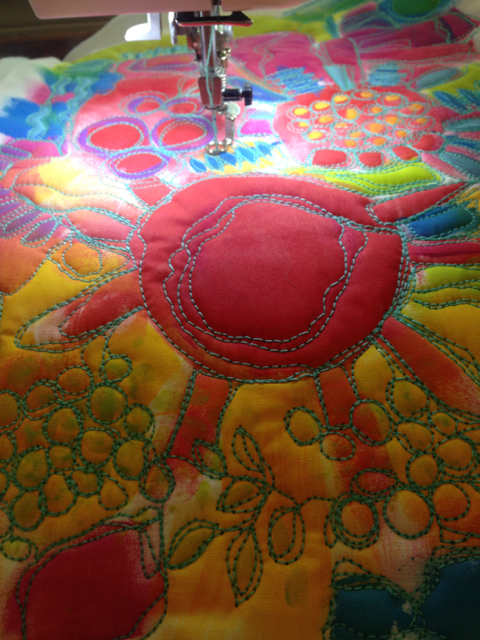 We have an active sharing community in the classroom with oodles of gorgeous, playful colorful fabric and stitching artworks. Here's the PAINT, STITCH, PLAY! Preview video. Hi Joanne, I still have Mum's old machine - an 830, which was the last manual before computerised machines.I have a Virtuosa 130 which must be old itself by now.The quilter's edition. I was advised to get a Bernina, by an art teacher who was teaching a few of us privately. 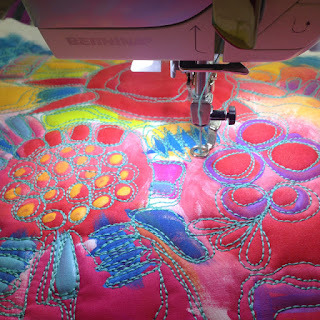 We were doing free motion stitching and I loved the process.My machine is fab and I love it dearly.I am loving seeing you bloom and blossom over the recent past. Good for you!! You do have a lot of talented friends...I have been enjoying meeting everyone on this fun hop/tour! What a wonderful writer...a fun story about your plane ride with your machine. 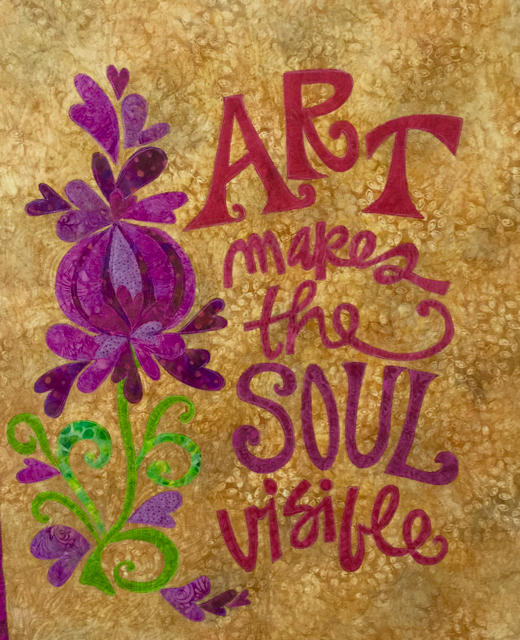 I liked your video and the lettering, painting and embellishing look like a lot of fun. So pretty! I am glad to meet you and happy you became an ambassador! Whimsical Wednesday: "LITTLE JACK TUFFET"